More from our guest-blogger Angelika Jaeck, who visited this garden on her last trip to Vancouver, by way of the MBS Conclave in Seattle. Vancouver's Chinese Garden was the first authentic Chinese garden built outside of China and constructed 1985-86, using the time-honoured principles and techniques of the original Ming Dynasty garden. Fifty-two master craftsmen from Suzhou China, working with Canadian counterparts, completed this landscape masterpiece within a year. The buildings and walkways are constructed with precise joinery and without the use of nails, screws or glue. The design of the Dr Sun Yat-Sen Garden is based on the harmony of the four main elements: rock, water, plants and architecture. Together these four elements combine to create a breathtaking experience of perfect balance, yin and yang. A 45 minute guided tour is included in the admission price. Even when it rains you are protected by covered walkways and pavilions. 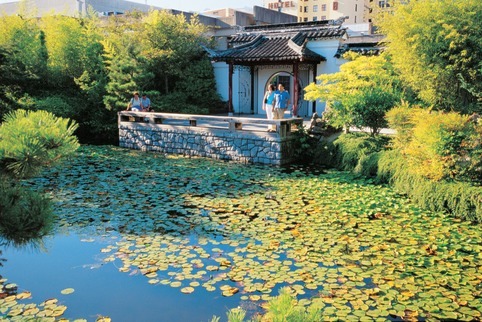 Next to the Garden is the Dr Sun Yat-Sen Park, a public park with a fish pond, a small pagoda and bridge. 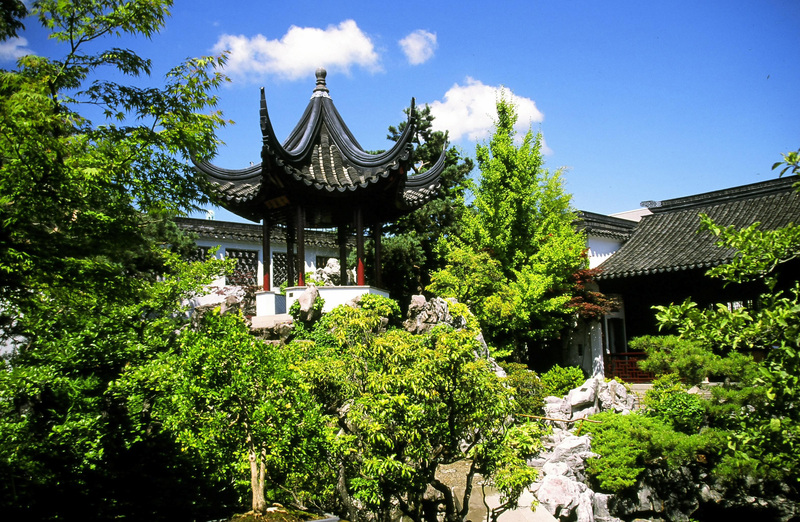 Before or after your visit, take some time to walk through Vancouver's Chinatown. You enter this vibrant area through a large dragon-covered gate - the Millenium Gate, used for the China pavilion at Vancouver Expo 1986. I don't know about you, but after all the rain we've had, I'm longing for some of this sunshine! Roll on Spring. The snowdrops are pushing up, with a couple of pure white blooms, so it can't be that far behind. Photos courtesy of Tourism Vancouver. To sign up for Photo of the Week click here.